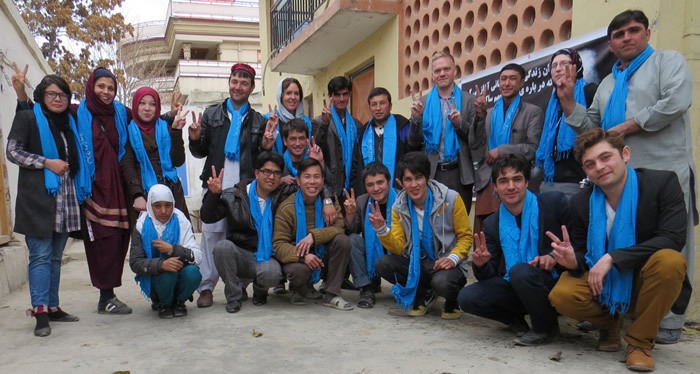 On Armistice Day, Let’s Celebrate Peace - World Beyond War . . .
By Kathy Kelly, November 10, 2017, The Progressive. 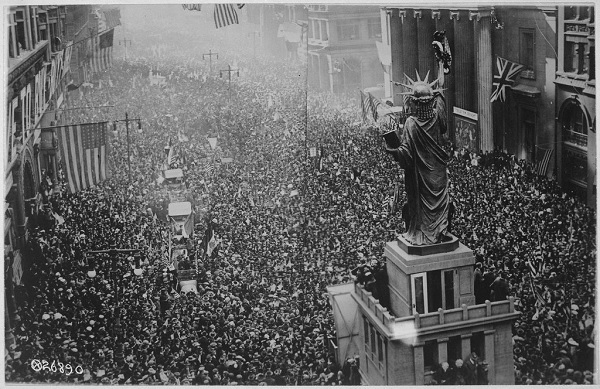 Thousands massed on all sides of the replica of the Statue of Liberty on Broad Street in Philadelphia, cheered unceasingly, upon the announcement of the armistice on November 11, 1918. Wilfred Owen, an English poet who was killed in action exactly one week before the Armistice that finally ended World War I was signed, wrote about the horrors of living in trenches and enduring gas warfare. In “The Parable of the Old Man and the Young,” he revises the Biblical narrative about Abraham’s willingness to sacrifice his son, Isaac. Believing God willed the slaughter, Abraham prepared to bind Isaac and slay him. Owen transforms Abraham into the European powers who were willing to slaughter youthful generations in the trenches of World War I. A stunned and exhausted West greeted November 11, 1918, the day the war came to an end, as its delivery from horror. In 1938, Congress declared Armistice Day a legal holiday dedicated to the cause of world peace. In 1954 the holiday was renamed Veterans Day and morphed into an occasion for flag waving and military parades. Now, members of the group Veterans for Peace are working across the U.S. to recover the original purpose of Armistice Day. They are using it to call for adequate psychological and material support for veterans, to help them cope with the terrors they have been forced to endure. 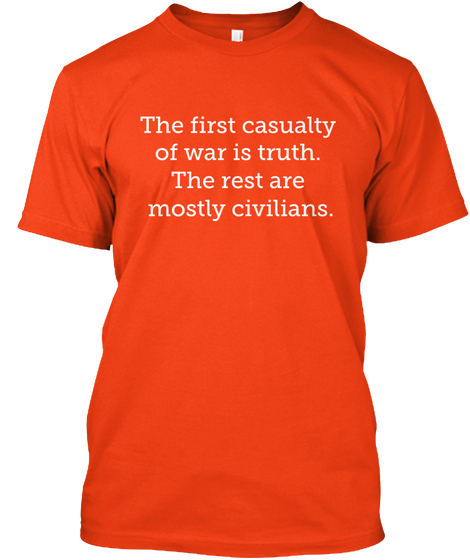 Above all, they work to abolish wars. The tragically stubborn “old man” in Owen’s poem rejected the angel’s intervention urging him to choose life over death. We do not have to keep making that same mistake. Kathy Kelly co-coordinates the group Voices for Creative Nonviolence.